We have recycled a whole range of pallet wooden chairs so far in our website. But as you all know we are always determined to bring you guys some ever new ideas, so keeping that in mind today we are going to introduce a number of double chairs with storage. 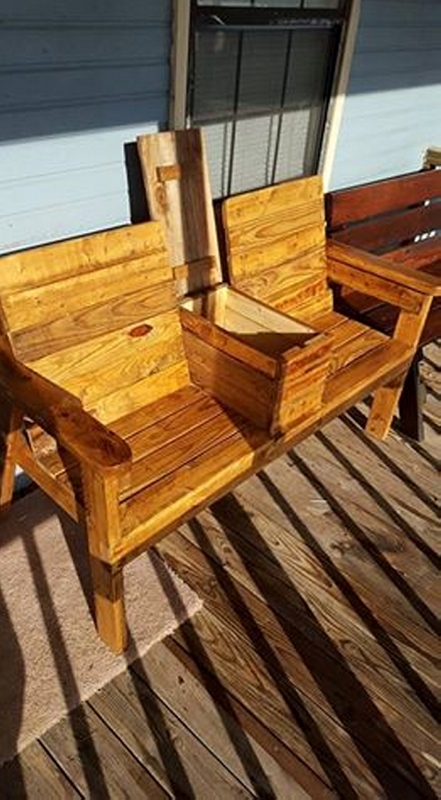 As it is pretty clear from the name that these two chairs are going to be joined up together to maintain their dual look or pair, and all of them would be recycled using the pallet wood and at the same time they would be saving you guys a bunch of bucks. 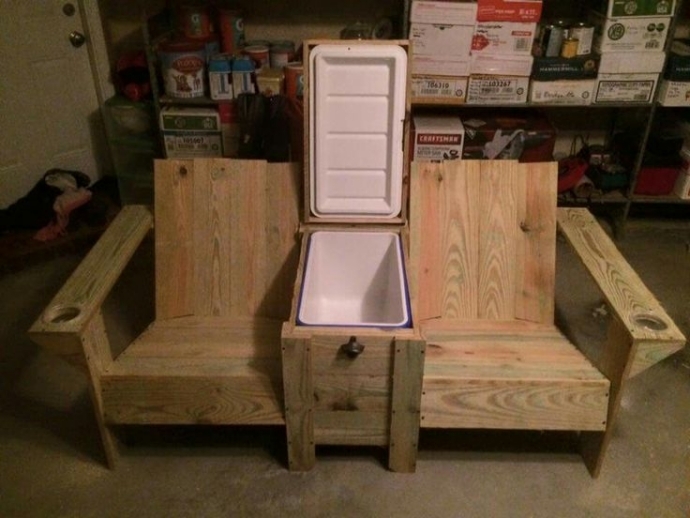 This is the very first double pallet chair with storage. This is a brilliant idea of joining a couple of chairs together and also providing them with the built in storage capacity. 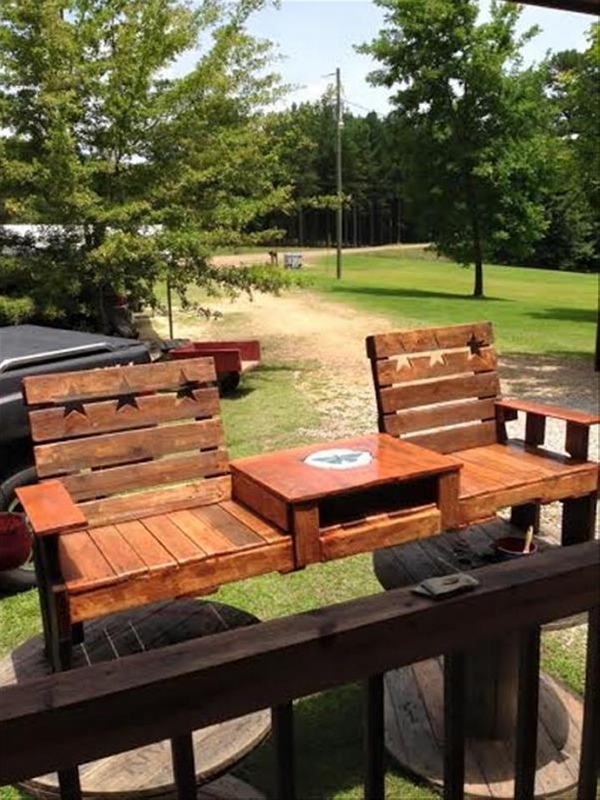 Apparently some raw wood pallets are used here but they are very well sanded and stained as well. 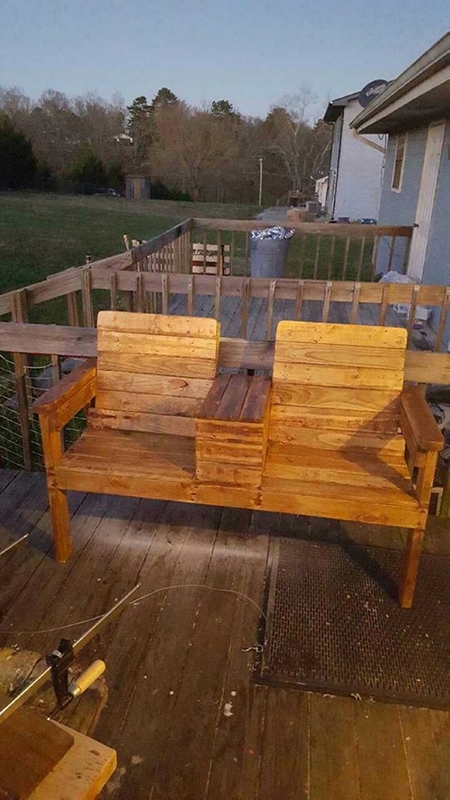 In the second project of double chairs with storage we see a fine article of pallet wooden double chairs. Some very high quality and artistic wood carving is done right here on the back of both chairs by drawing the stars. And the additional storage capacity is provided right in the middle. 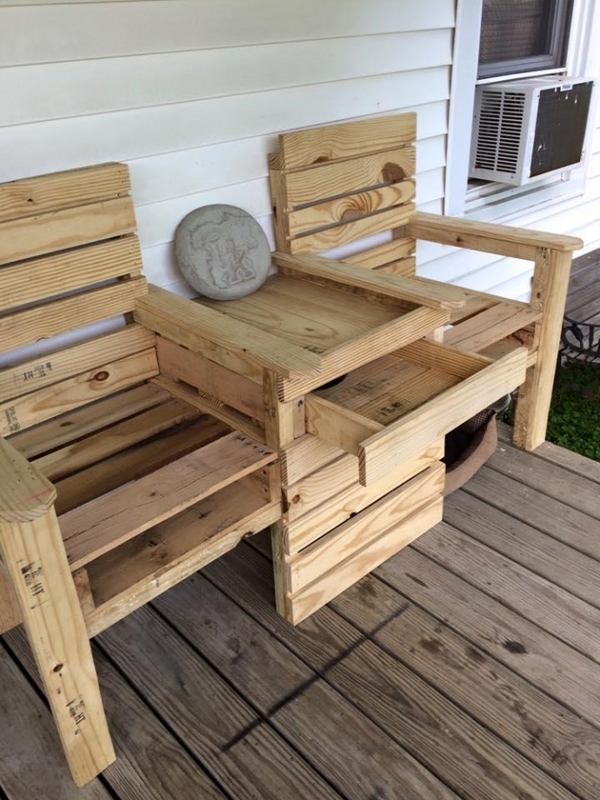 The next one is much stylish and modified version of double pallet wood chairs along with the additional storage capacity. But this storage space is little different. This plastic cabin is designed to keep the beverages and other drinks cold for longer periods. The final one is royal looking pair of double chairs along with the built in storage capacity. We see a conventional storage drawer in the middle of the double chairs. This storage space could be used as conventional wooden drawers and this pair could be used outdoors as well.